Protesters spread their dueling messages at a March for Life rally in 2016. Only 17 percent of Americans say they want the landmark Roe v. Wade ruling overturned, a new NPR/PBS NewsHour/Marist poll finds. Just 17 percent want to keep Roe the way it is; 1 in 5 (21 percent) say they want abortion rights expanded to any circumstance and another 15 percent want Roe kept in place and want some restrictions reduced. In all, that means 41 percent want Roe either overturned or want to see more restrictions on abortion rights, while 53 percent want Roe either kept as is or have abortion rights expanded. The poll comes as the U.S. Senate is set to consider President Trump's nomination of federal Judge Brett Kavanaugh to the Supreme Court. Kavanaugh would replace Anthony Kennedy and would almost certainly be more conservative. On the top of the minds of both liberals and conservatives is the fate of Roe v. Wade and abortion rights. Legal experts familiar with Kavanaugh's writing believe he might not vote to outright overturn Roe but could use a scalpel to winnow abortion rights. Abortion rights is often seen as a women's issue, but they view abortion very differently depending on their party. 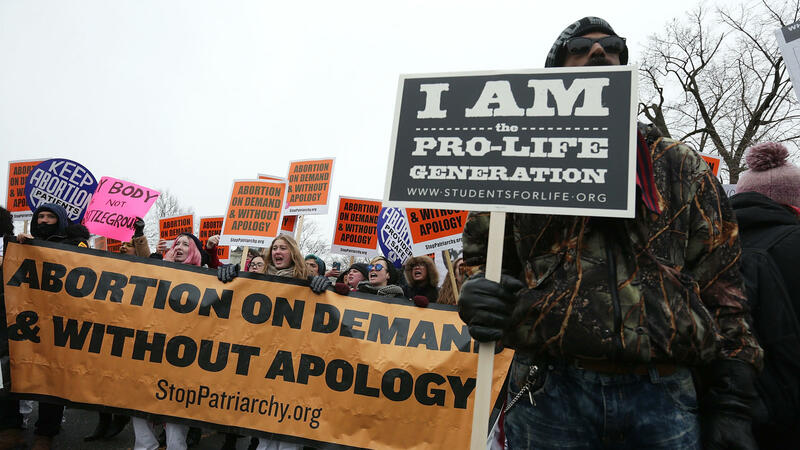 Democratic women largely want to expand abortion rights, with 54 percent wanting to either make abortion legal under any circumstance or to reduce some of the restrictions put in place. Democratic men are actually, according to the poll, the most likely to say they want to make abortion legal under any circumstance (35 percent). Kavanaugh was not much of a factor in people's voting at this point, except among activists. The poll shows a real lack of consensus on Kavanaugh, with Americans split on whether they would be more likely to vote for a candidate who supports him (31 percent) or opposes him (33 percent). He does seem to fire up conservatives slightly more than Democrats — 68 percent of Republicans say they're more likely to vote for a candidate who supports Kavanaugh, compared with 63 percent of Democrats who say they would vote someone who opposes him. "Americans don't see it [abortion] as a binary choice," said Barbara Carvalho, director of The Marist Poll. "Most people are somewhere in the middle with the level of disagreement being on the level of restrictions that are also included. ... These middle positions are where most people are."